SocialKit v1.3.8 is a Social Networking Platform that consists of various features including Live Chat, Pages, Groups, Messages, Stories, Comments, Likes, Shares, Notifications, #Hashtags, @Mentions, etc. This PHP Script allows users to socialize with each other, share with their favorite community, connect with their favorite brands, artists, celebrities, and much more. 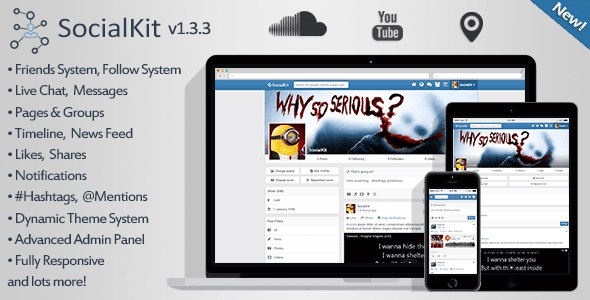 0 Response to "SocialKit v1.3.8 – Social Networking Platform PHP Script"